Education - Milos Savic, Ph.D. I received my M.S. in Mathematics from NMSU in 2008 and my Ph.D. in Mathematics in August of 2012.
comprehensive exams in Algebra, Complex Analysis, and Topology, passed the language exam in French using a textbook in Local Ring theory, and passed my oral exam on Algebraic Number Theory. My mathematics education graduate courses considered research at both the school and undergraduate level. You can find my dissertation under the Publications tab. 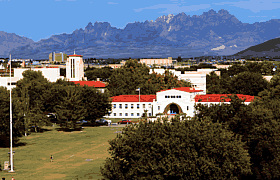 For information on NMSU's Department of Mathematical Sciences please click HERE. I received my B.S. in Mathematics from Ball State University in 2004. My honors thesis research explored Analytic Number Theory, specifically partition functions. I also published two papers in the first two Ball State Undergraduate Mathematics Exchange journals. You can find the research I published at BSU, including my thesis, under the Publications tab. For information on BSU's Department of Mathematical Sciences please click HERE.